Skipper and boat owner Johan Basson came upon these 2 “swimmers” on Wednesday (25th) afternoon. He “herded” them into the harbour where they eventually ended their swim at the slipway. Yzerfontein is privileged to have a number of these feathered residents and it is suspected that they were practicing for the Olympics. 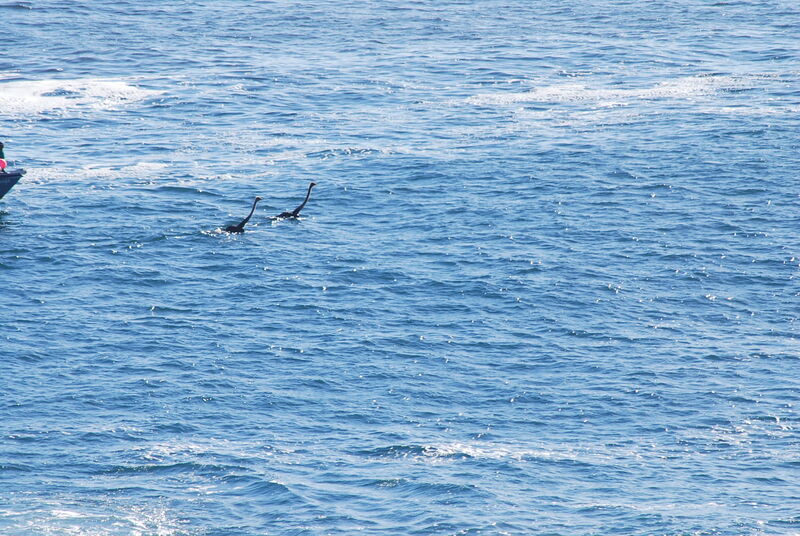 It is not the first time these feathered athletes have been seen in the Atlantic. Photos courtesy of Harbour View.